The Bard Medical Coude Tip Natural Latex Catheter - 16 FR 30cc provides for smoother insertion and enhanced patient comfort given the hydrogel coating's unique ability to absorb fluid, thus creating a hydrophilic "cushion" between the catheter surface and the urethra. 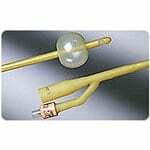 The Bard Medical Coude Tip Natural Latex Catheter 30cc provides for smoother insertion and enhanced patient comfort given the hydrogel coating's unique ability to absorb fluid, thus creating a hydrophilic "cushion" between the catheter surface and the urethra. Available in a medium length, olive Coudé tip design that facilitates negotiation of the prostatic urethra along with a single drainage eye. 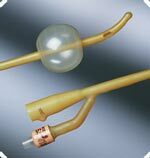 30 cc balloon for postoperative hemostasis. 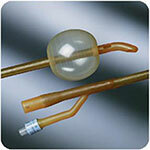 Balloon is round and short to provide excellent seating in the bladder thus minimizing leakage and irritation to the trigone. 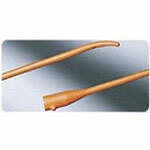 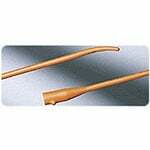 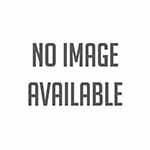 Contains 1 Bard Medical Coude Tip Natural Latex Catheter - 16 FR 30cc.